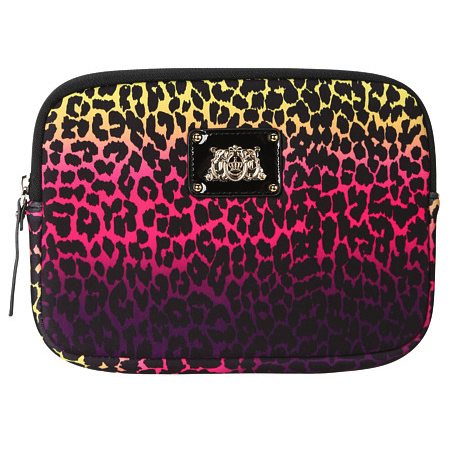 What better way to carry around your favorite tech accessory than in this fabulous Juicy Couture® Leopard tablet case? You’ll love the wild colors and fun print, plus it’ll coordinate with the matching phone case you just purchased, so it’s a win-win! Compatible with the second and third generation Apple® iPad®. Colorful leopard ombre design throughout. Juicy Couture logo plaque at front. Lined interior to protect your tablet.